Spectrek is a Lion’s project which collects unwanted spectacles and recycles them for re-distribution to people who would not otherwise have access to spectacles, Lions Clubs in the UK and from other European countries including France, Germany, Greece, Spain and Switzerland participate in this project. 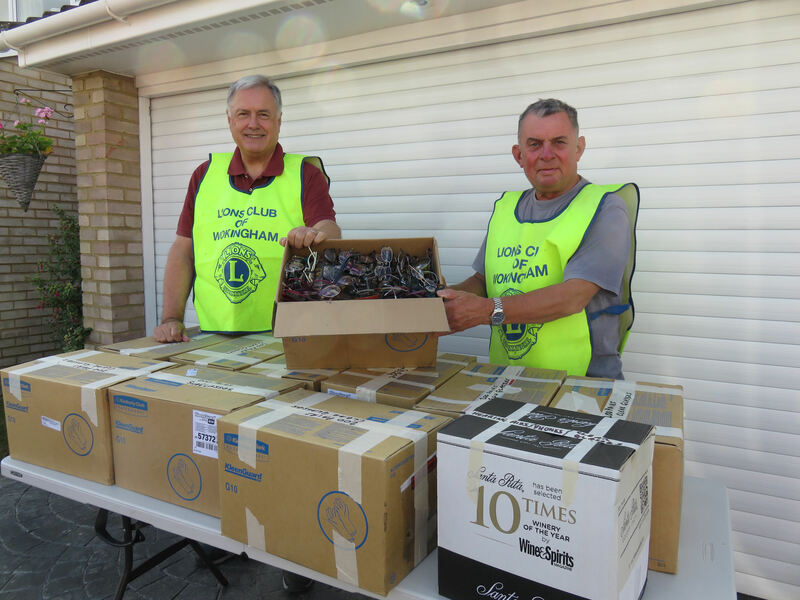 Every year Wokingham Lions collect over 2000 spectacles from local opticians and doctor’s surgeries. We sort and box them and make an annual deliver to Chichester Lions Club, who coordinate collections from Lions clubs throughout the UK. Chichester Lions Club then forward them to Medico France in Le Havre, who have the necessary equipment to clean and grade the spectacles ready for use in eye camps in Africa, India and Eastern Europe. Collectively the UK Lions clubs send over 300,000 spectacles to developing countries.